Most of you will probably already be familiar with the makeup brand, Kryolan and recognise it as a Professional Makeup Brand more commonly used by leading makeup artists for the last 70 years. I remember first coming across Kryolan back when I was studying Drama and Theatre Studies in High School and the brand definitely holds a fair bit of nostalgia for me. Until recently, I had always assumed Kryolan was a brand strictly for use by makeup artists, but I am assured that's not necessarily the case. I was super lucky to be invited to the official launch of one of the first Kryolan stand alone stores here in Melbourne and we were treated to a beautiful demonstration and talk through of their products by their makeup artist, Becca Gilmartin. We were very generously gifted a few products to try from the Kryolan range so as you can imagine, I'm super excited to try them out. If you would like any reviews or a closer look at these products, please let me know! Otherwise you can try and keep an eye out for them in case they appear in a future favourites video! I also vlogged the event, so definitely check it out below if you want to see what the store looks like and for a peek at the products they will be stocking! Have you ever tried makeup from Kryolan before? Are you familiar with the brand? I hope you have all had the loveliest weekend and are rested and relaxed for the coming week ahead! Sounds like such a fun event. I always see Kryolan around but I'm not all that familiar with their range. I did use one of their products for a halloween look one year but after that I kind of forgot about the brand, I should definitely look into them again! Oh yeah, I definitely used to relate them to stage/ sfx makeup too! Definitely check them out! Looks like such a fun event! :) <3 I absolutely love those lip colours, also. Thanks for sharing! Thanks so much Kay! 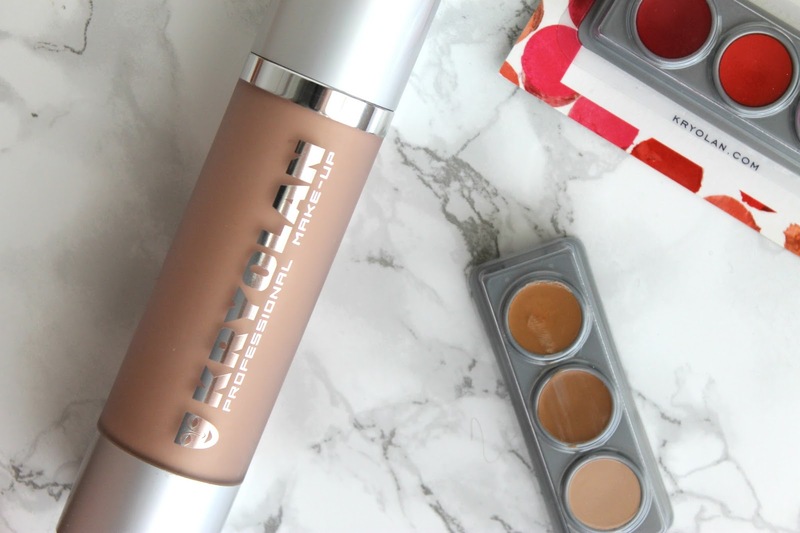 Definitely keep an eye out for these products incase they make a favourites soon! The event looks like a lot of fun going by your vlog - how nice to have been invited along! I can't say I've heard of this brand before, though I'm pleased to have been introduced to it.. I'm learning a fair amount since starting to blog haha ;) Have a lovely week ahead Anjelique!! It's always so nice to be invited along to these events Gabrielle! Happy Hump Day! Thanks so much Tamara, I'll check it out! Ohh you lucky girl to be invited to attend all these cool events, I'm envious! LOL! I am aware of this brand but never tried anything from it because I am under the impression it's geared more towards makeup artist instead of day to day use? Yes, that's exactly what I thought too, I felt like an impostor going into the store but I think they're trying to expand their reach now! I feel like I've heard of this brand before but I'm not really familiar with their products. They look great! I need to check this out. I definitely feel like it's a brand most people would have heard about but never tried! Please do Amy! I'll let you know what I think of them too! I have not heard of this brand before! Loving the video!